In 2011 we created an ‘OpenLab’ with the largest car manufacturer in France, PSA Peugeot-Citroën. This lab aims at bringing together research teams from PSA and partners to work on research projects that will define the automotive of the future. 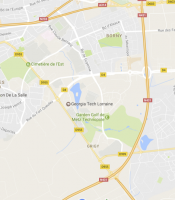 The OpenLab, called “Material & Processes”, is located at Georga Tech Lorraine in Metz. It involves three partners, chosen for their recognized expertise in the fields of materials and innovative processes and robotics, International Joint GeorgiaTech unit-CNRS, Engineering school Art & Metier Paris Tech and the Centre Henri Tudor Public Research lab in Luxembourg. This partnership with PSA represents a significant achievement for the UMI. In this last 4-year period we have pursued our partnership with Peugeot. CIFRE contracts and research contracts in the area of materials, non destructive characterization and robotics have been signed, students have graduated, patents have been filed, and plans for a start-up are underway. We have also involved in the PSA OpenLab that was created in Morocco in the area of sustainable mobility in Africa. The UMI has also been actively involved in Stellab PSA the network of the Open Labs over the world. The UMI was invited in 2014 to Wuhan to present our Open lab as a “success Story” during the creation of the OpenLab in China. 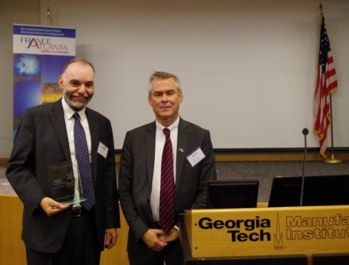 Additionally, Prof Abdallah Ougazzaden was named recipient of the first International Stellab Peugeot PSA award.